A WISE mobilized labor management system enables enterprises to efficiently determine who is doing what and how long it takes by providing the granular data required for an accurate comparison of productivity metrics. For example, to compare pickers in a warehouse, you need to reach well beyond the number of orders picked to factor in the type of equipment in use (such as a forklift or hand cart), item location (within reach or high on a top shelf), item size and any special handling requirements (for example, for highly fragile items) to fairly assess employee performance. 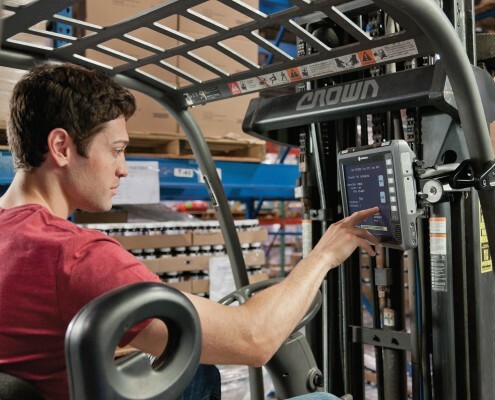 With a WISE labor management system in place, enterprises can easily integrate information from the warehouse, yard and transportation mobility solutions with core business systems, (such as the warehouse management system) to easily and automatically monitor, track and analyze the time each employee spends on each task – and push the results to the manager’s own mobile device. Now, managers have the data required to get and keep the workforce operating at peak productivity. When information from your WISE warehouse and supply chain management solutions is integrated into your labor management system, managers have visibility into the true capacity of the workforce for improved resource planning. Armed with this information, managers can anticipate the peak and valleys that may occur throughout the year and better plan staffing requirements to address fluctuating demand. For example, during holidays when orders are at an all-time high with high customer expectations for shipment turnaround times and order accuracy, managers can better determine when and how many additional workers will be required to ensure service levels are preserved in spite of the increased volume. Typically, task assignments are verbal only, received via a two-way radio. Verbal communications do not allow for any type of audit trail to analyze worker performance, from either an error or task volume perspective – and can be easily misunderstood in the noisy yard environment. When yard workers are armed with a mobile computer, the ability to issue text-based task lists to a worker can greatly eliminate errors. Workers can acknowledge when the task is complete, and your system can show the error rate and volume of tasks for all of your workers. Two-way radios can be eliminated – in the event you wish to maintain voice communications with your yard jockeys, you can select an integrated voice and data device that will allow you to place a call to one or all yard jockeys (via one-to-one and one-to-many walkie-talkie style voice communications). 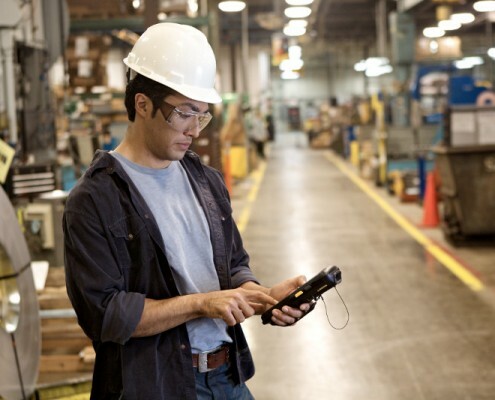 And Voice-over-WLAN (VoWLAN) capability delivers cost-effective voice as well as data communications for yard workers. In order to achieve peak workforce productivity, workers need to understand clearly what it takes to achieve or exceed expectations – and what the reward will be for doing so. Through Royal 4 Systems automation, enterprises can automatically calculate and distribute personal performance goals and metrics to workers, providing a vehicle for continuous everyday improvement in workforce productivity levels. Instead of presenting employees with a piece of paper that outlines goals each quarter or at the half year mark, employees can access their personal daily goals right on their mobile computers at the start of each work day. And at the end of the day (or other preferred interval), employees can view their performance improvement and how close they are to achieving their personal goals – as well as departmental goals. The automation of many tasks can result in significant improvement of worker productivity throughout the yard, enabling the same staff to handle an increase in volume in the yard – without affecting service levels. For example, at the guardhouse, the reduction in paperwork enables guards to handle more transactions. 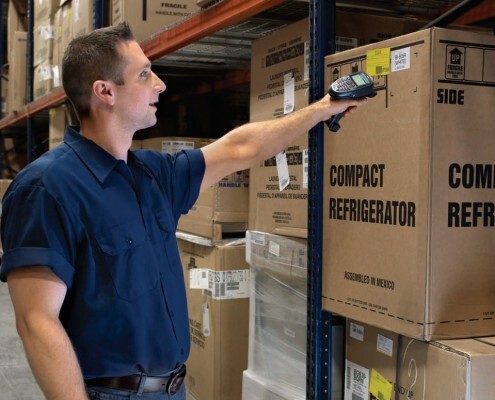 When a yard dog is outfitted with a mobile RFID reader, a worker can take a complete inventory in a typical warehouse yard that is approximately 350k to 500k square feet in just twenty minutes – a task that can often take up to half a day. And instead of searching for the right trailer, workers on yard dogs are now provided with the exact location of the right trailer – and a quick scan of the RFID tag with a handheld or vehicle mount mobile computer provides a valuable double check to ensure the trailer is correct. Determine achievable realistic and task specific key performance metrics to enable a meaningful measurement of individual employee productivity levels. Track individual worker performance against those metrics. Identify all non-productive time, including where it is spent, how much it is costing the enterprise – and how that time can be eliminated. Identify the most productive employees to ensure those workers receive recognition and incentive to continue their excellent performance. Develop a plan for improvement tailored specifically to help each employee achieve key performance metrics. For example, one employee may need additional training on a specific task – while another simply needs to spend more time working and less time on breaks. Understand the true capacity of the workforce to ensure the bar for departmental metrics is properly set. The ability to provide a continuous feedback loop to the workforce with virtually no effort significantly incents employee self-direction. Real-time communication of current performance metrics promotes a self-driven workforce. The elimination of many manual administrative tasks – such as the compilation of data to obtain key metrics or regular meetings with employees to discuss goals and progress towards goals.